JoAnn Lowry Woolwine McCurry, 76, of Lumberton, passed Friday, April 5, 2019. She was born on January 27, 1943, to Gladys Marie Hughes and Herget Stout Lowry. JoAnn was a retired home health caregiver. She is survived by her grandchildren, Blake Buckner and Ashley Durmon, both of Lumberton, and Thomas Hill, of Sour Lake; great-granddaughter, Nina Duplechain, of Lumberton; numerous nieces and nephews; and cousin, Jean Phillips, of Orange. 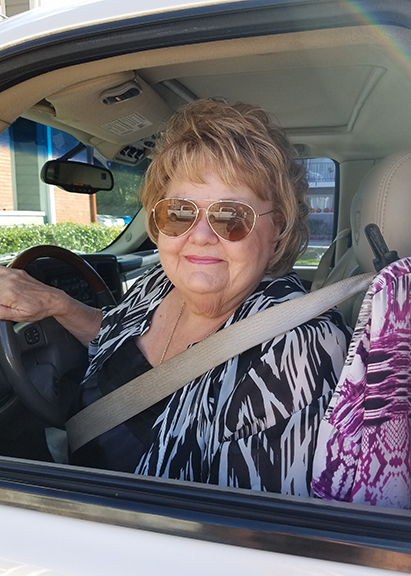 The family would like to extend their deepest gratitude to Mary Pelton, Beth Spell, Yolanda Johnson, and Jean Phillips, for taking such great care of Mrs. McCurry. A gathering of Mrs. McCurry’s family and friends will begin at 1:00 p.m., with her funeral service to follow at 3:00 p.m., Saturday, April 13, 2019, at Broussard’s, 1605 North Major Drive, Beaumont. Her interment will be 10:00 a.m., Monday, April 15, 2019, at 10:00 a.m., at Magnolia Cemetery, 2291 Pine Street, Beaumont.